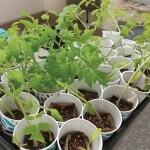 Homemade flytraps are easily constructed and work well to reduce fly populations. 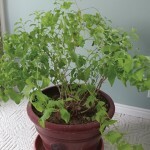 Editor’s Note: This week’s article is by Maggie Cooper, wife of the usual Garden Spot columnist, Jay Cooper. 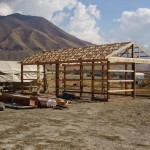 Many of us live in the Tooele Valley because we enjoy the small-town feel and rural lifestyle. When you live rurally you can also raise and keep animals that would not be allowed in more densely-populated areas like the Wasatch Front. For some it may be domesticated pets like dogs and cats. Others may add backyard poultry to their household array and still others with more acreage, might have horses, goats, cattle or other farm animals. While we personally only have three cats, a small dog and 13 hens, many of our neighbors have horses and other large animals. As with humans, all animals must eat. Bodies must get rid of what they can’t use. You get what I’m talking about. That process can be — well, let me say this delicately — stinky. And what always shows up when you have lots of smelly things around? Remember who ordered the “Pu-Pu Platter” in the movie, “A Bug’s Life”? … Flies — that’s what. We have a summertime grandparent mantra, especially on weekends when our kids and grandkids come over to visit. That mantra is “Shut the door!” Every grandchild has been reminded, begged, hollered at and scolded numerous times for forgetting to close the door. And why do we so passionately want the door closed? Yes, the air conditioning is running full blast, but even more importantly, we don’t want the house full of flies. For me, there are few things in life more irritating than a fly that keeps landing on you. We have four fly swatters on the side of our refrigerator that are always available. We have fly-killing contests to see who can swat the most. (As I am typing this, a fly keeps landing on my foot). Since fly control consumes a significant amount of time during our summer days, I started to wonder why flies are so anxious to get in one’s personal space and touch you? They have unlimited counter, wall, floor and other surfaces indoors to land on and all of nature outside but seem hell-bent to be on my face or anywhere else on my body. So, I decided to learn some things about them and why they are around to begin with. First of all, flies are insects that have a mobile head, with a pair of large compound eyes, and mouthparts designed for piercing and eating. Their wing design gives them amazing maneuverability in flight, and the sticky pads on their feet enable them to cling to smooth surfaces like window glass. Fly reproduction begins when the eggs are laid on the larval food-source and the larvae, which lack true limbs, develop in this protected environment, which is often inside the source of their food. The pupa is a tough capsule from which the adult emerges. Houseflies have a short life span as adults, about a month, although it usually doesn’t seem that way when they are invading your picnic. When conditions allow it, they more than make up for their limited time on earth by multiplying rapidly. While certainly annoying, flies are one of the major insect orders and are of considerable ecological and human importance. Flies are prolific pollinators, second only to the bees, and may have been among the earliest pollinators, which resulted in food sources to sustain life. And while they do eat disgusting matter, the disposition of dead organisms in nature wouldn’t be nearly as efficient if they weren’t around. What about that buzzing sound they make? Don’t you just love lying in bed at night, just about ready to fall asleep, when you hear a buzzing sound and know that a fly is in your room and will land on you at any moment? The sound flies make is not the noise of their wings moving but rather the sound of the extreme air current disturbance caused by their wings. Houseflies have special muscles that allow them to beat their wings 200 times a second. No wonder the buzz. Flies are scavengers by nature, and the human body is a real delight for them. Because we perspire, shed skin and secrete oils, flies attempt to set up camp on our bodies to eat these edibles. They have a brilliant sense of smell, and locate their victim from a distance. So even when we feel and smell clean, and see nothing noteworthy on our body, flies see a buffet line. But it’s not just about food. Flies are constantly on the hunt for warm places to be to perform their life routines. Human skin is a source of warmth and a place to perform all these functions. Flies do have a useful purpose in nature but if you are like me and don’t want them in your house, here is an idea to help rid your domain of these buzzing menaces. Flytraps are one of the best ways to reduce the population of flies. Although the market is full of commercially available traps, you can also come up with a homemade version. 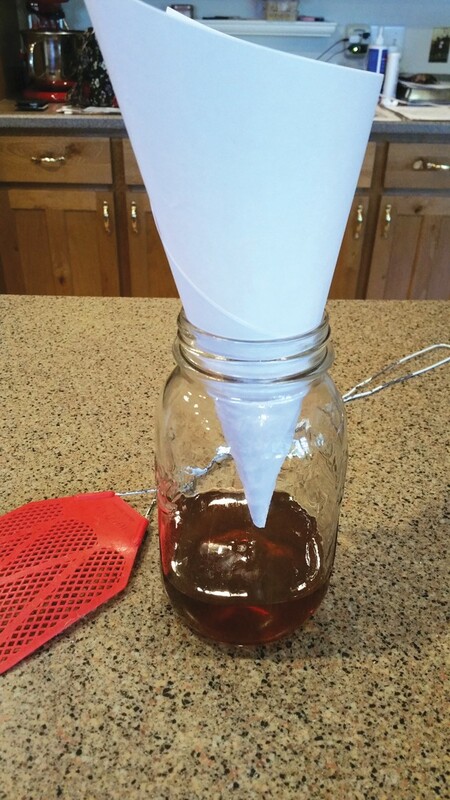 A homemade flytrap, when compared to a store-bought version, is equally efficient. We have used these types of traps effectively on fruit fly infestations using vinegar and sugar. The best part about these lures is that they don’t have any bad effect on environment and are a cheap and effective solution. They can be used both indoors and outdoors and re-used again and again. A basic homemade flytrap works due to two facts: Flies are attracted to food by their keen sense of smell, and they have very bad vision because of their compound eyes. Based on these facts, a flytrap consists of a covered container filled with an attractant (something sweet) with a small entry point, which lures the flies in through the hole that is small enough that they cannot see where the exit is. Here are a couple of simple traps you can make from items you probably already have at home. Using a wide mouth jar, roll a piece of paper into a cone and tape it together. Cut a small hole in the bottom, pointed end of the cone (fly-sized or slightly bigger). Make sure the paper cone is long enough to stay inside the jar without touching the liquid inside. An inch away is good. Pour an inch or so of thick sugar water or syrup into the bottom of the jar. Then, place the cone into the jar, wide opening up and point down. The flies will crawl in through the wide opening, enter the jar through the small hole but they won’t exit. Empty the jar occasionally to get rid of dead flies, wash, refill and return the cone into the jar. A variation of this trap uses clear plastic wrap to cover the jar opening. Put the sweet liquid in the jar and cover with clear plastic wrap, securing it with a rubber band. Carefully poke some holes in the plastic, making sure that the holes are large enough for a fly to get in, but not so large that it could find its way out. Try different variations of attractant to see what works best. These types of lures are great passive controls that stay on duty, even when you are not actively on the hunt with a fly swatter. Happy fly hunting and may the buzz not be with you.